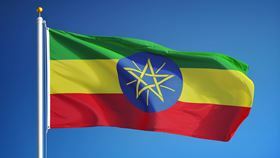 Ethiopian flag. Image courtesy of railway fx/Shutterstock.com. Xylem Inc has signed a Memorandum of Understanding (MoU) with Ethiopia’s Ministry of Water, Irrigation and Energy (MoWIE) for future cooperation to help advance the country's water security. The MoU was signed at an event in Ethiopia attended by Ethiopia’s Minister of Water, Irrigation and Energy His Excellency Dr Eng Seleshi Bekele; State Minister Water Supply and Sanitation Dr Negash Wagesho; Xylem president and CEO Patrick Decker; and a representative of the US Embassy in Ethiopia. Dr Bekele said that the MoU creates an enabling platform to improve water supply and sanitation service delivery and ensure scheme sustainability. Decker spoke about the solutions that Xylem will explore for the region, including non-revenue water, knowledge sharing, and creating more water and energy efficiencies to maximize resources and lessen the impact on the environment. “This exploratory partnership is a chance to strengthen our working relationship with the Ministry and build on positive conversations around water systems optimization, energy, water and sewage coverage, and to create a foundation that can help advance Ethiopia’s water sector in the future,” said Decker.